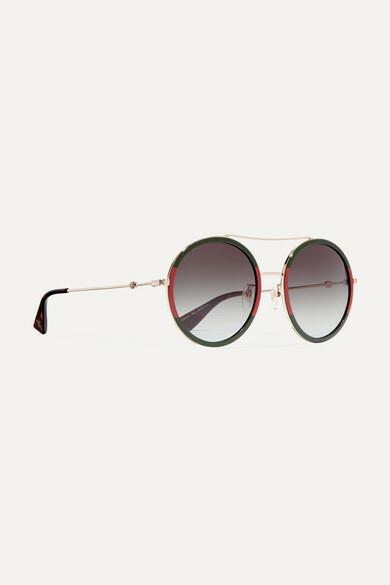 These round-frame Gucci sunglasses are designed with the brand's signature red and green stripes and have dark-green lenses. 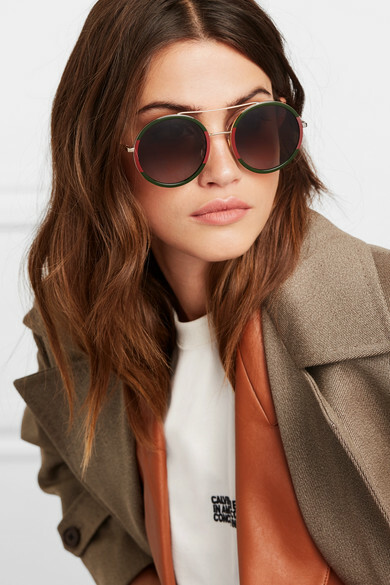 Made from gold-tone metal, each arm is imprinted with a single bee at the tip, a nod to the iconic motif that was first used by the house in the '70s. Shop our jewelry edit to find some delicate earrings to match the hardware. Shown here with: we11done Blazer, Giuliva Heritage Collection Trench coat, Acne Studios T-shirt.